Call me odd (hey, I heard that! ), but I’ve always been attracted to top-up convertibles. Not all of them of course, as some of them have pretty weird tops going on (yes, we’re talking about you PT Cruiser). 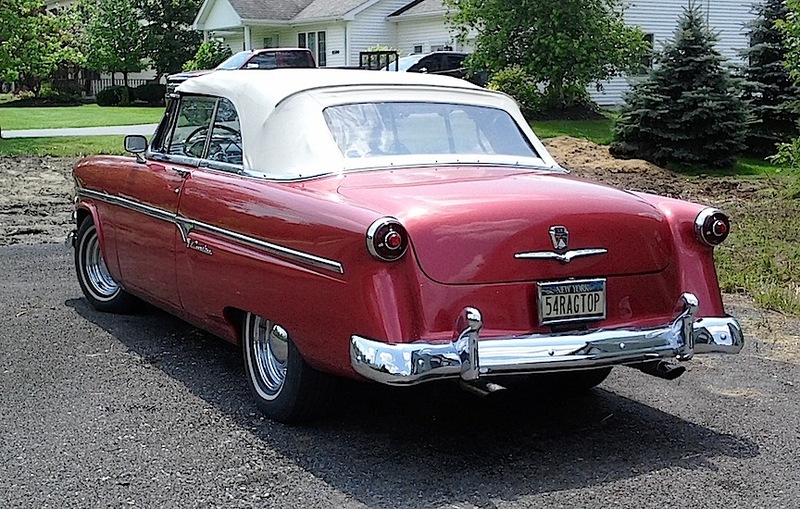 Not the case with this 1954 Ford Crestline Sunliner, as the top’s shape compliments the rest of the car’s styling. It was the only drop-top offered in the full-sized Ford lineup for 1954; of course the new Thunderbird would change that a year later. Saw this one over the weekend in Clarence. — Jim Corbran, RRofWNY The post RealRides of WNY appeared first on Buffalo Cars.